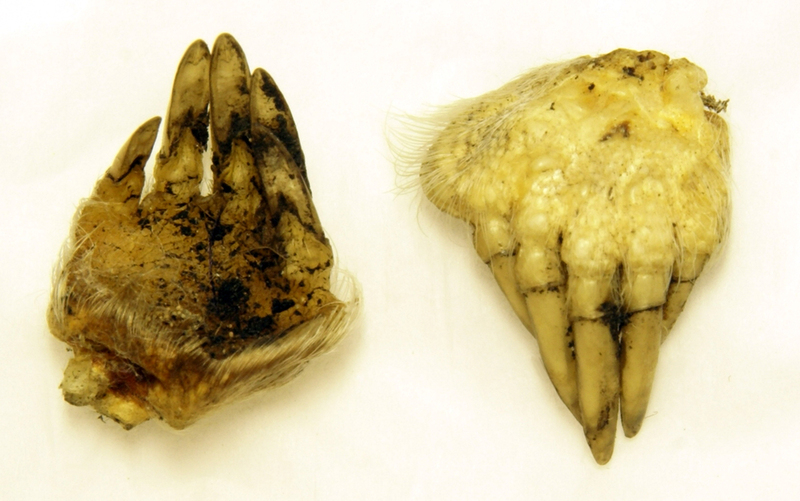 As it turns out you all did a great job of identifying what these severed feet belonged to and there were some fantastic suggestions about the possible uses of these rather macabre charms. I reckon it’s a lucky charm to stop moles from ruining your lawn!! (particularly that actual mole!). The idea that carrying a mole’s paw could have any health benefits (beyond placebo) is clearly nonsense and for cramps seems to be founded in sympathetic magic (after all, moles are presumably unlikely to suffer from cramp given their ability to tunnel persistently). This system of seeking cures for ailments by using the supposed properties of an animal seems stupid and cruel, particularly when you consider that items need to be removed from live animals for the magic to work. Much as I hate ridicule as a form of argument, there are people recording their random thoughts and feelings after taking a vanishingly small amount of something on a sugar pill and that is then being prescribed as a treatment for real illnesses – and that’s ridiculous.